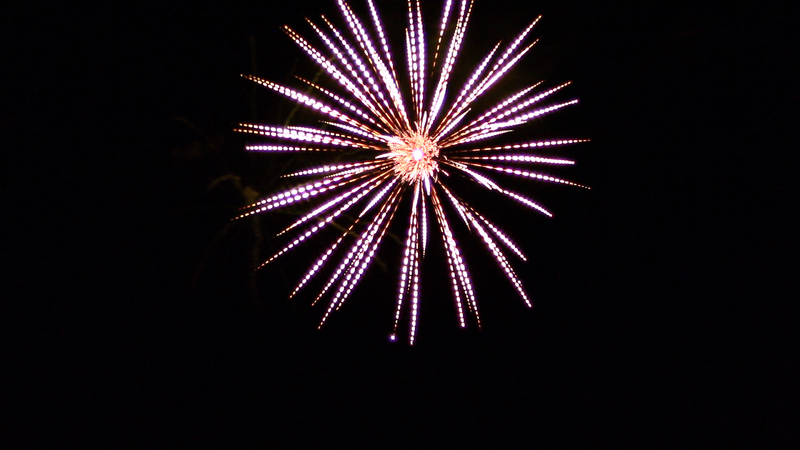 Long exposure photography of fireworks is so beautiful, and maybe you wish you could get some nice pictures, but either your camera doesn't have a feature for that, or you can never seem to get the timing right. In this tutorial I'm going to show you how to create long exposure shots from video of fireworks. It should be noted that this method won't create an image as good a quality as taking a real long exposure picture, but more on that later. A video of fireworks, the higher quality the better. 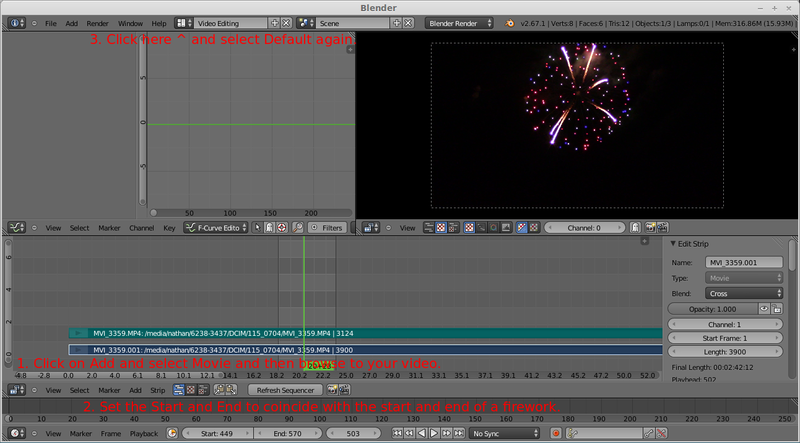 A program that will let you export frames of video as still images, I use Blender. Some time, you'll drastically increase your speed once you learn the method. 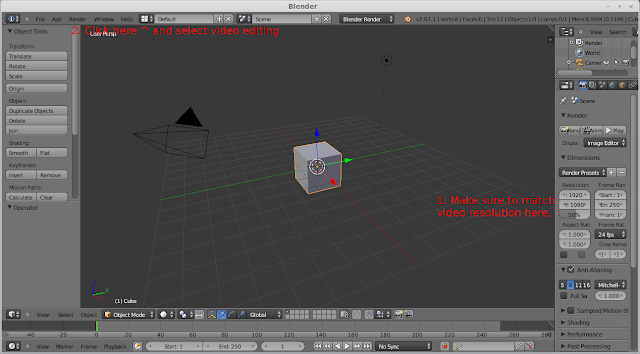 Open your video footage in Blender, and set the start and end frames. Export the image sequence, it's best to create a new folder to put these images in. 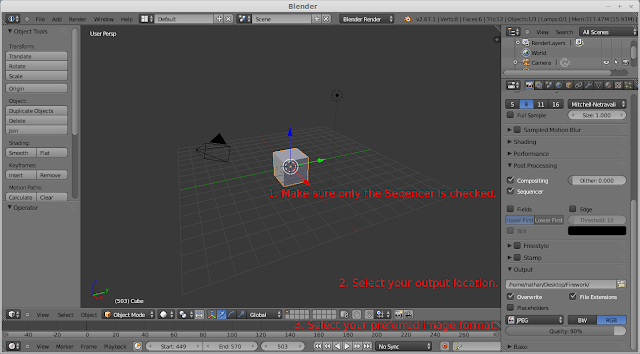 Hit Ctrl+F12 to render out the sequence and give your computer a few minutes to save all the images. Length with vary depending on how powerful your computer is, how many frames you are exporting, and the video resolution. 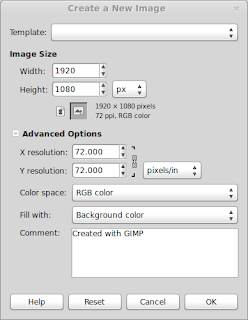 Open Gimp and create a new image with the same resolution as your video. Open a file explorer and browse to the location you saved all the images. 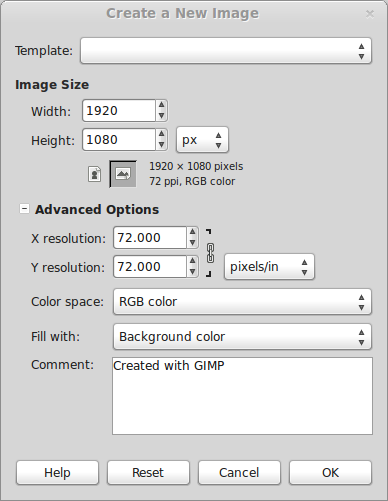 Select all the images, generally Ctrl+A, and drag-and-drop them into the layers box in Gimp. This step will take a while, as all the images have to load, just be patient. Once all the images are loaded do a quick check to make sure they are in numerical order, they should be, though I don't think it matters at all, and be sure to delete the original layer, probably called background. Right now our image is looking pretty bad. Not to worry, we just need to do a little "Magic"
Clicking on this option will pull up a dialog with a bunch of options. You really only need concern yourself with the two sets of options that are circled. 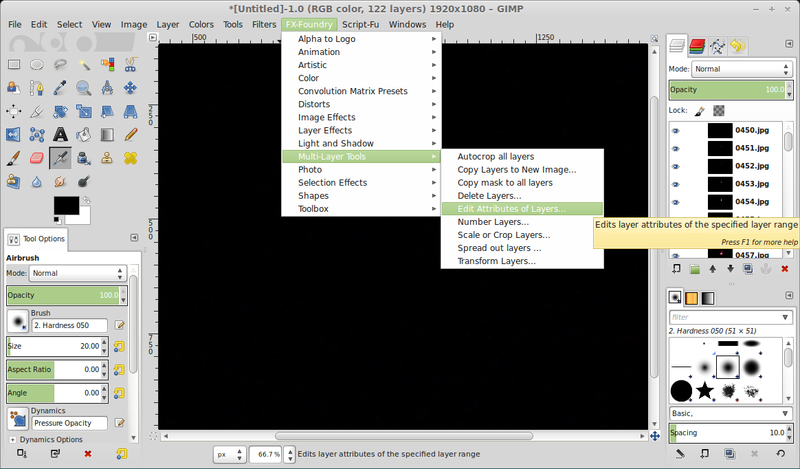 The first set is just how many layer you want to edit, just set the end something beyond the number of layers you have. 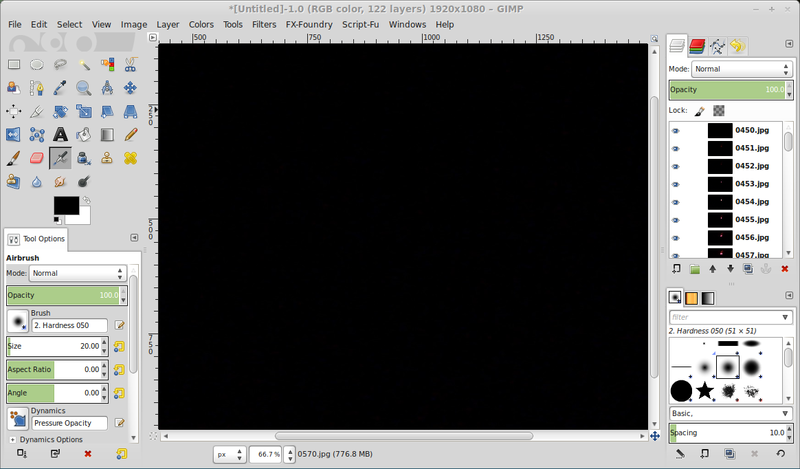 In this example I have about 120 frames, and I set the end layer to 300. 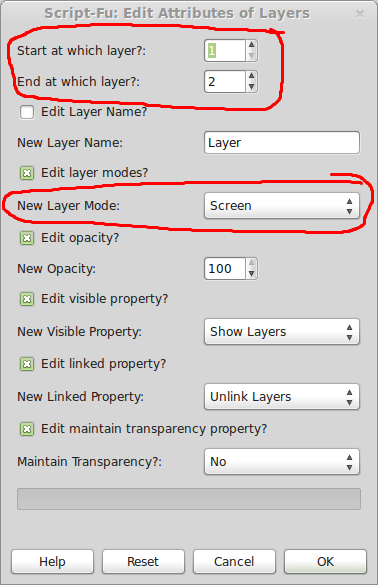 The layer mode is where the magic happens. There are a few different options you can use, each will yield slightly different results. 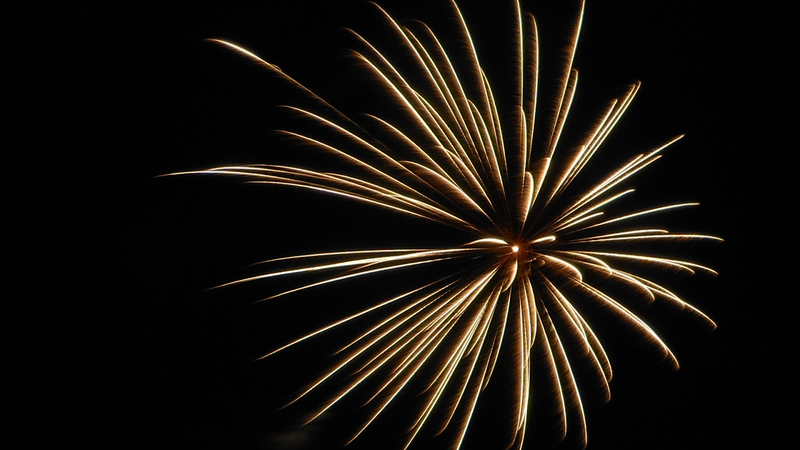 There are three different operations I recommend, Lighten Only, Addition, or Screen. Addition and Screen really only work well when you have relatively few frames, otherwise you'll get really blown out images. Experiment! 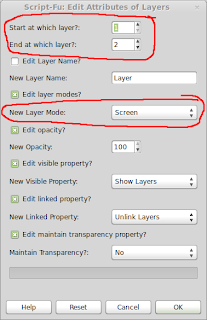 try out different options, change around layer visibility, be creative. The tutorial method creates an image that has dashed light lines. 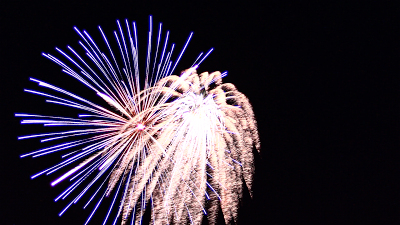 This can be countered by filming at a higher frame rate, this next image is from some 60 FPS footage, the others have all been from 30 FPS footage. 60 FPS footage baby, truly the way to go. 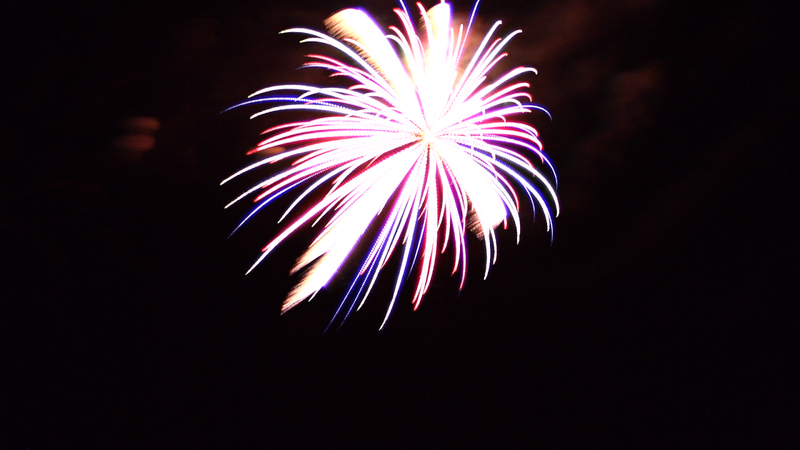 A sample frame showing the blown out color on one of the first frames of the firework blast. A second firework blast during the same video clip, about the same amount of frames after the initial explosion, as the first image. 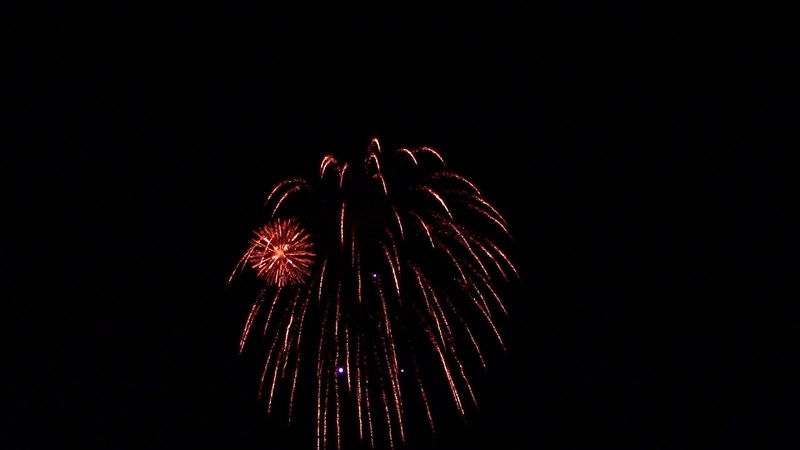 Notice the difference in the color and lighting. 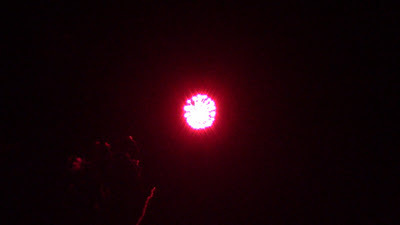 Because the camera was already adjusted to the light of the first blast, the second didn't blow out like the first did. Locking exposure, if possible would probably cut down on the blown out look at the beginning of shots. 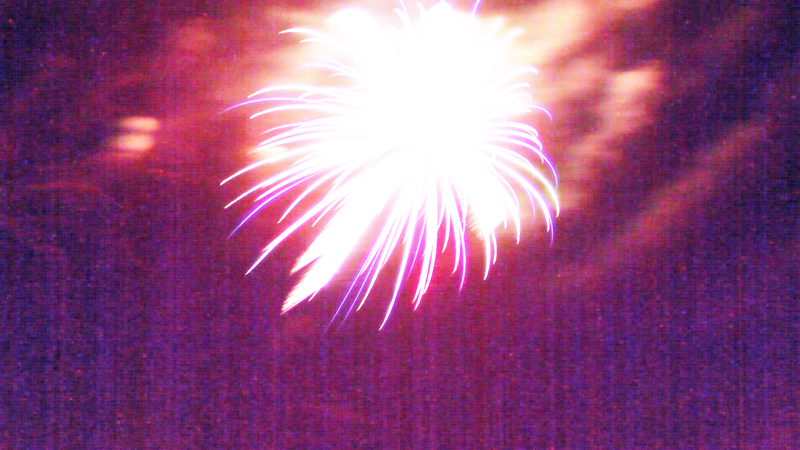 * The only one that I know of anyway. If you prefer a video version of this tutorial, here you go.